Computer aided design is the use of computer systems to assist in the creation, modification, analysis or optimization of an engineering design. 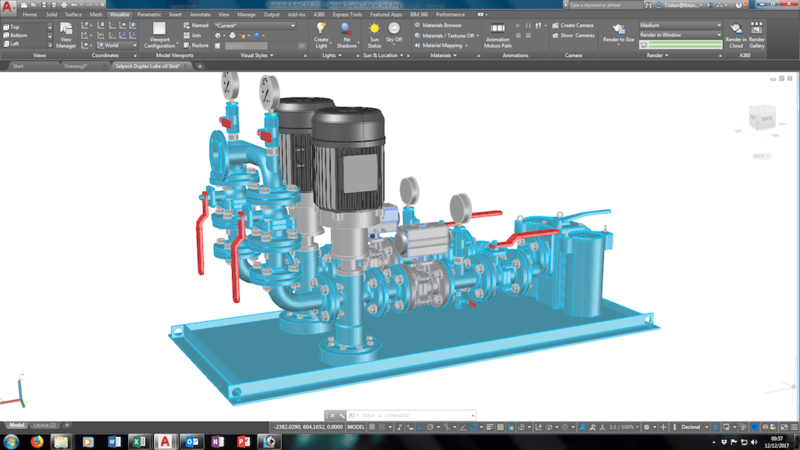 The CAD process and outputs are essential to successful solutions for engineering and manufacturing problems. 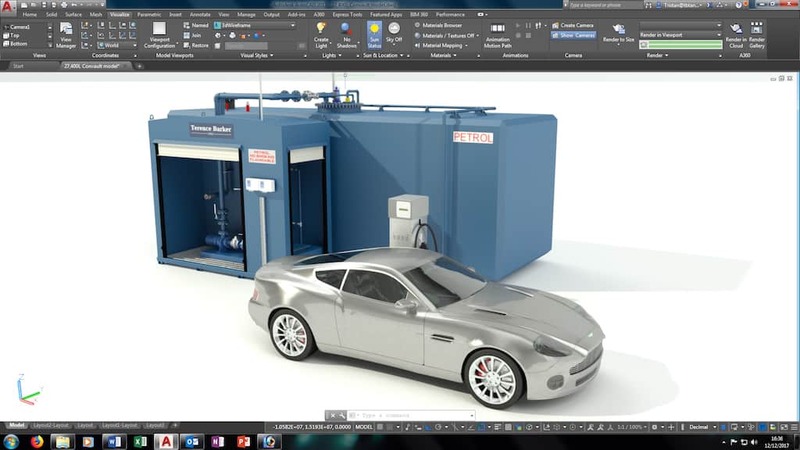 At Terence Barker we use the latest CAD software to help us explore ideas, visualize concepts through photorealistic renderings and movies and simulate how the design project will perform in the real world. 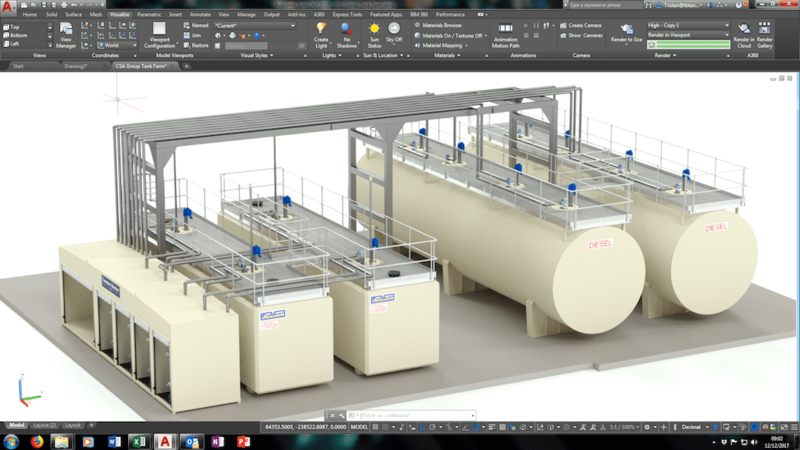 From the first conceptual designs through to detailed engineering drawings Terence Barker can plan your fuel storage tank installations and distribution systems from the ground up to give you peace of mind that you will get the installation to suit your specific requirements.